Hard boiled eggs. A cooking basic, but so easy to fudge up! If you’re sick of shells being too hard to crack, or yolks turning out too runny, then you’ve come to the right place. 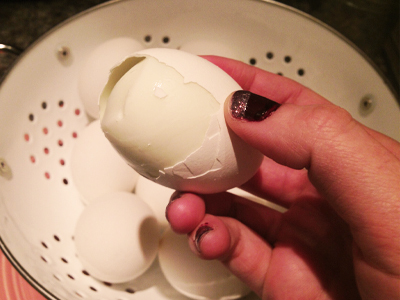 Here’s a fool proof recipe that I picked up over the years for how to make the perfect hard boiled egg. STEP 1: Place eggs in a large sauce pan. 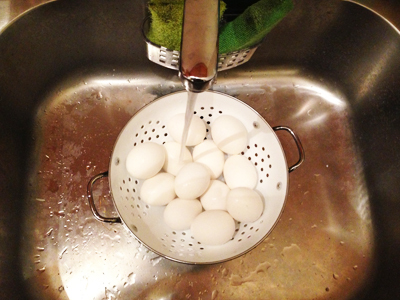 STEP 2: Fill the sauce pan with water, leaving the eggs submerged about an inch. STEP 3: Bring the water to a boil, then take immediately take the eggs off the heat. Cover with a pan and let sit for 12 minutes. STEP 4: Fetch your eggs! 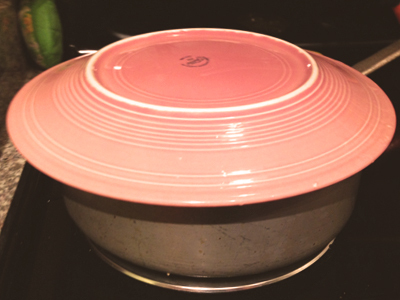 Place them in a colander and run them under cold water to stop the cooking. STEP 5: Peel them eggs. They should peel nicely with the shells easy to crack. There are countless things to do with your eggs once hard boiled. With this batch, I set a couple eggs aside, and used the rest to make a delicious egg salad. A few days later I used the remaining two eggs to complete a cobb salad. 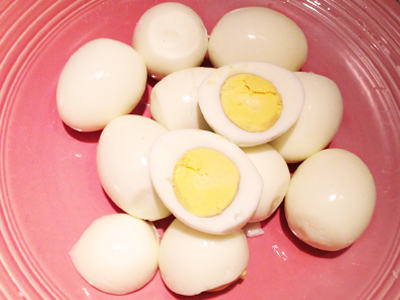 How do you eat hard boiled eggs? Leave your comments below!